The one channel temperature controller TRM500 is a universally applied and easily used built-in device. 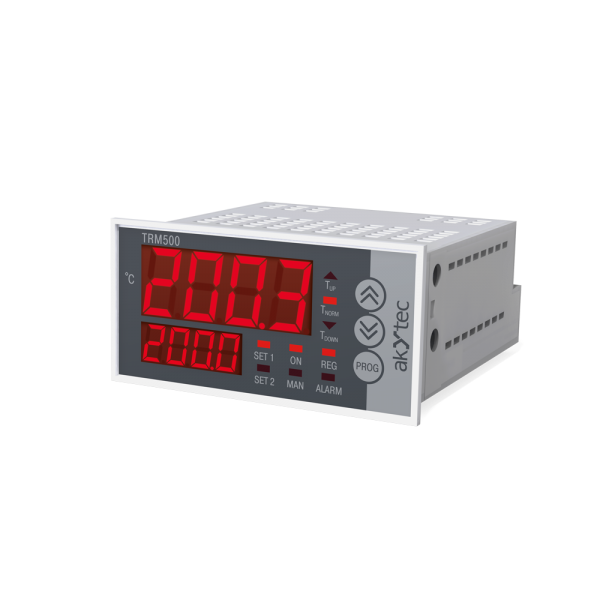 The device is provided with a universal input for a wide range of resistance thermometers and thermocouples as well as a digital input. A relay output, an alarm output and a DC logic output are available for process control. The TRM500 can be applied in furnaces, injection moulding machines, extruder, shrink wrappers, dryers, etc. The TRM500-5A has gone out of production.